As a full service web marketing agency, Search Engine Pros devotes a large amount of time helping clients manage social media channels. We strongly believe in the benefits of social media and can bear witness to its effectiveness at driving a target audience response when used correctly and consistently. Facebook posts that are created with client input and Instagram posts that help educate or demonstrate can prove to be the spark that lights the fire for an effective marketing campaign. As we developed individual campaigns for each client to raise awareness on Facebook, Instagram, Twitter, LinkedIn, Google+ and Pinterest, one stumbling block we ran into was creating a system for social media management. Search Engine Pros would write content for a possible Facebook post, add an appropriate graphic, and then email it to the client for approval. The client might write back and ask for a minor change in the wording or a different picture. That information would be forwarded back to the creative team for revisions. Before long, the email threads were longer than a giraffe’s neck, but nobody was really certain what the final update looked like, or whether it had even been approved at all. And that was just one post for one social media channel for one client. Multiply that times daily posts on multiple channels for every single client, and you can see where confusion might reign! We tried to organize everything neatly in an Excel spreadsheet or Google Doc, but found that updating those formats was cumbersome, time-consuming and unwieldy. 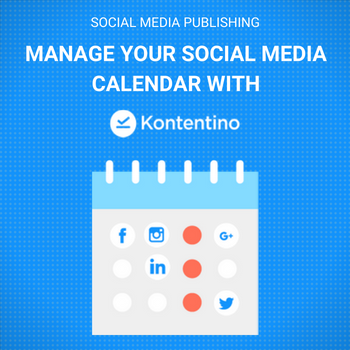 Fortunately, that is when we discovered the perfect social media publishing calendar, Kontentino. Created by Triad, a leading Central European advertising agency which was dealing with the same social media scheduling nightmare as we were, they have been making their intuitive social media tool available to agencies and clients since 2016. It has already been ranked by Capterra in the Top 20 of Most Popular Social Media Marketing Software, and is a G2 Crowd 5-star “High Performer” for Spring 2018, so we decided to try this sophisticated software tool for managing our own social media content. We’re happy to report that we think we’ve found a winner and love to use it to help to schedule, manage and control content for our clients. We would rather spend time being creative than working on administrative tasks or learning a new software, so the first thing we loved about this social media management tool is that it is intuitive and easy to learn. 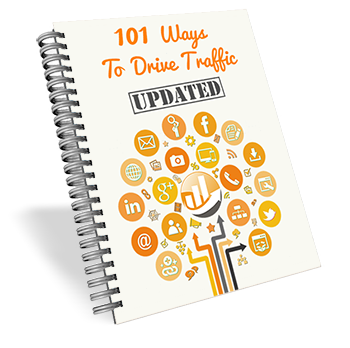 The at-a-glance editorial calendar clearly outlines each client’s social media marketing plan for the entire month. Then each post is ordered on the side of the screen in a list format. Everyone accessing the site can easily see the current version of the post – exactly as it will appear – and immediately know its status. No more hoping clients can visualize what our creative team has in mind, or “accidentally” releasing an unapproved version of a specific post. Our entire social media management team has input, and we also give our clients access to the portal so they can approve posts, or leave comments for our creative team. Nobody at SEP needs to spend time updating spreadsheets or sending emails around to everyone. One particularly handy feature is a post checklist, where Kontentino reminds us of guidelines and rules each client set for their content strategy, so there are no unintentional content errors. When everyone is happy, and our client has approved the final product, the content is easily scheduled to their Facebook page with one click. For Instagram scheduling, we use Kontentino to create the post, get it reviewed and scheduled, and receive a push notification to a smartphone when the Instagram post is ready to be published. Kontentino is the only social media marketing tool we found which supports all social media post formats including Instagram stories, 360° photos or carousels in live-preview, so our creative team has really been having some fun. We can also store ideas or inspirations for future campaigns, so they don’t get lost when we are looking for the next big idea. It keeps us in line budget-wise by helping to control Facebook boosts in advance. We set a budget, export it directly to Facebook, and it is automatically entered into the Facebook scheduling queue. We don’t have to wait for the post to be published before we set the boost budget. Finally, we earn our bread and butter by generating results, so it is crucial that we be able to demonstrate results to our clients. Kontentino helps there, too, by making it possible to see how Facebook posts are performing, learn if anything has gone viral, and create PDF reports for further analysis and review. Over 400 brands and agencies worldwide, including Adidas, Absolut, BMW, SABMiller, Ikea, Ogilvy and BBDO, have already used Kontentino to create over half a million posts, and we are thrilled to be able to bring it to our clients. Kontentino stacks up well against its competition and has certainly made a huge difference in the way Search Engine Pros creates, implements, budgets, directs and reviews social media campaigns. We look forward to using this publishing tool to help our clients achieve even higher levels of social media success. 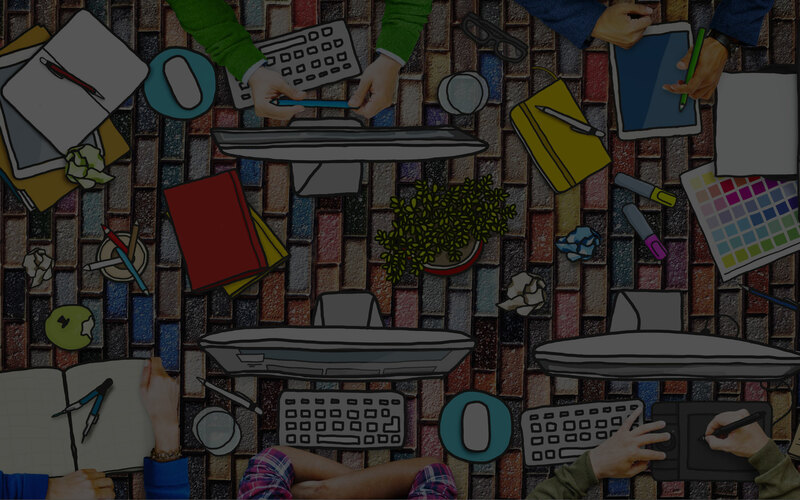 For further information on the Kontentino social media management tool, visit the company’s website at https://www.kontentino.com or ask Search Engine Pros how to start incorporating it as part of your social media strategy. 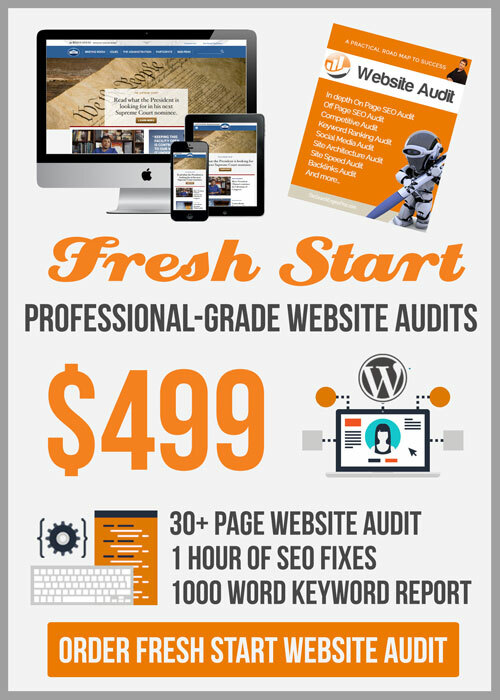 About Search Engine Pros: Search Engine Pros is a full service web marketing agency located in Santa Barbara, CA, providing web marketing services, including social media consulting, top web design, custom WordPress, web programming, and marketing SEO. Visit the website at https://TheSearchEnginePros.com for a complimentary Google rank analysis. “Like” the Facebook page for regular insights on WordPress SEO. Call 800-605-4988 to learn more about incorporating Kontentino into an online marketing strategy.